For the first get-together in February 2016, we would like to invite you to share your learner development interests and also your research histories (if you want to). Let’s talk together about our learner development interests, experiences, as well as questions and puzzles that we each have about doing practitioner research into learner development issues. Below we have put some of our own research histories and experiences. Blair Barr: Although we would like to start off our first meeting of the year by discussing research histories, my own thought was that this might be a little intimidating to some people with little research experience. I was thinking back to my own beginnings with the LD SIG. I had just started my MA studies at the time and I was invited to attend an LD Get-Together by a close friend. I had very little knowledge of the kinds of research going on in second language acquisition and teaching at this time, but I simply knew that I wanted to help my own students develop their language skills. If I had been asked to reveal my research history at the time among such an experienced group of professionals, perhaps the intimidation of being way over my head would have scared me away for some time. Instead, at my first meeting, I fell into a group discussing language learning strategies, and we as a group immediately bonded to the idea of doing a cross-context research project on the topic. I was honored by the fact that the group was not only kind enough to include me, but they were also honestly interested in how my own context contributed to the research. I was clearly the junior member of this group, having absolutely no research experience in the field and still employed in the eikaiwa industry at the time, but the experience for me was absolutely invaluable. It gave me the confidence to know that my thoughts and experience could still contribute to the field. I have since gone on to publish a corpus study, encouraged another unpublished colleague to do a presentation on our experiences guiding learners through presentations, and I have a number of other research projects in press or in progress on using digital flashcards and understanding the attitudes of learners and teachers to a variety of English accents. I am still relatively new to the field of language research, but thanks to the wonderful people I have met in LD, I am now confident that I can contribute to the field through independent and team research projects. We should not feel overwhelmed by a lack of research experience, but use this experience discussing research histories to also learn from our fellow teachers and motivate ourselves to develop our own research projects. Agnes Patko: I first got acquainted with research during my masters; however, I never never thought I would do research myself apart from what was required for the MA thesis. Not being enthusiastic about research, I was recommended by senior students to apply qualitative methods and implement a questionnaire and make a few interviews to collect data. I found collecting and analysing the data actually enjoyable, especially when my initial expectations proved wrong. Yet, after graduating, I felt relieved and was happy to put a full stop at the end of my research history. I quickly changed professions. I continued to teach part-time at a language school as I had always loved teaching, but it was more like a hobby than anything else. I got back to full-time teaching after I was offered a job at a university in Tokyo where I had participated in a Summer School two years before. Coming to Japan to be employed at a university, I faced the fact that what I had thought was a full stop at the end of my research history had to be punctuated differently if I wanted to keep working at university level and develop my professional experience. I was introduced to the LD SIG a few months after I had come to Japan by a senior teacher. I was not an active member at first as I felt inferior and believed I could not contribute to those people’s work, research and interests. From the second year in Japan, I started to feel the pressure to do some sort of research, present at conferences and get published, and, in addition, attend the LD get-togethers regularly. After talking to and getting to know the members more closely, I realised that it is a very supportive group and there was a lot I could learn from others. I started to enjoy the get-togethers, but faced many challenges in doing research. The greatest problem for me is that I lose interest in my own research easily. On the one hand, it is a result of still being full of uncertainties regarding research (starting from the methodology, design to writing a paper, that is, the whole process of it). On the other hand, I am sometimes not fully engaged in it, or to put it in another way, I am occupied with too many things at the same time; therefore, I always find something more intriguing or urgent to do than research. It does not mean I ignore research. I do read other’s articles and like talking about learner development issues. I also think a lot about how to improve my teaching so that it is easier for learners to achieve their objectives. However, these areas of interests are too general. I believe that every time I attend the get-togethers, talk to people about their research, there is a lot I can learn from them, and I am gradually getting closer and closer to find my specific research interest in which I will be fully absorbed. Until that point, I see myself as an observer or learner of rather than a practitioner of research. Ken Ikeda: My research history can be seen as having evolved through three phases: the first when I was enrolled in two graduate-school programs, followed by an ‘ice age’ when my attitude toward research was morbid and my forays seemingly moribund, and the third which has flourished thanks to my participation in the Learner Development SIG. I entered the field of second language research nearly 20 years ago while I was in a MA.TESOL program. I was able to publish a study on peer-L2 learner oral interaction in an international journal. I re-examined the same data through several research perspectives, which resulted in presentations, published articles and my MA thesis ultimately. I developed a skewed confidence in which I viewed research writing as a kind of game, which propelled me headlong into a distance postgraduate program. For my thesis topic, I tried to bridge several English language identities of Japanese as learners, test-takers and users. However, the process of validating my research results resulted in protracted futility. I stayed six months at my distance campus to resolve the problem but ended up fatigued and gave up trying. After I was accepted into a full-time teaching position, the longer-than-expected adjustment to my job helped to extinguish my desire to finish the thesis. Looking back, my research motivations developed into a hubris which clouded my intuition; I did not examine my own interests and gain understanding in my inadequacies prior to entering the second postgraduate program. The first 3 years teaching at my university constituted a period during which I kept to myself, locked into my insecurities and feeling consigned to the research wilderness. I published my postgraduate papers and teaching observations in my university’s in-house publications (kiyoo). Stewing in past frustrations, I wondered if I could ever re-enter the field and community of the research world. I had been a longtime JALT member but an intermittent attendee at LD-SIG meetings, which its research focus on learners seemed to include my thesis. Job concerns propelled me to attend again. Mindful of my shortcomings I was reluctant to enter into research interaction. However, soon after I started, I was attracted to a project to examine the efficacy of a learner strategies instrument in various teaching settings. I was timid at first: I had only passing knowledge of the instrument and hadn’t ever worked on joint research, but my fears were overcome by the great rapport between us. Our project led to a JALT National conference presentation and a JALT Conference Proceeding article. This helped resuscitate my earlier research interest and confidence. I offered my university as a site for the Tokyo Get-Togethers and I have served as the onsite liaison for the Creating Community: Learning Together mini-conferences the past two years. I think the key to this second flowering of research activity has been to acknowledge what I don’t know and use that motivation to spur my efforts to make that research idea more known to myself. With the LD-SIG as the hub of my research activity, I have become more confident to engage in projects with other members and SIGs within the JALT overall community. It is my hope that my research career will continue to unfold, my understandings deepened, and interactions enriched and extended. (1) The research involved listening closely to learners talking with each other and doing different discussions tasks, one of which I used in my classes and another that I designed for the research itself. So, my focus was half on how my students approached their own learning, and half on moving away from learners’ actual practices towards a more experimentally engineered data elicitation task. (2) A post-discussion phase of the research involved interviewing the students who took part to find out about their years of learning English in formal education, of living abroad and using English, and how they saw the differences between the discussion tasks. However, this learner-centred dimension of the research was perfunctory, as if I were putting on a white coat to claim some sort of academic legitimacy. Indeed I was, but this also created distance in how I looked at my students’ performance and understood how they were handling discussions in different ways. (3) A third contradiction, from a learner development perspective, was that, while the research was focused on learners’ performance, the scale of the study was daunting, which left me with many questions and doubts about doing manageable, small-scale learner-centred research in the future. After this, I continued to do classroom research, particularly trying to understand how my students saw their development in different courses that I taught. I also became interested in action research as it seemed to offer an appropriate way to do research with learners rather than on learners, a suitable way to learn with them about their development. Together with several colleagues teaching different languages (Chinese, English, Japanese, and Russian) I became involved in an action research group where we would have monthly meetings and report to each other on what we were exploring and trying out in our classes. In that way, my involvement in ‘practitioner research’ became grounded in small-group discussions with colleagues at the same workplace. In parallel I became more and more interested in reflective teacher development through the JALT Teacher Education SIG. Julian Edge’s (1992) book on Cooperative Development was an important touchstone here, and with another colleague we tried to adapt Julian’s CD approach to our own purposes. When I look back now at the early stages of my research history, I can see how the idea of reflective (teacher) learner development emerged over time for me through trying different modes of research and small-scale reflective practices. 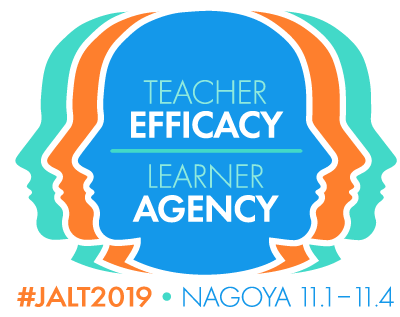 These were initially solo, but became pair- and group-based as I got to know other teachers with similar interests and puzzles, both in the workplace and through joining and becoming active in the JALT Teacher Education SIG, and a little later the Learner Development SIG. That said, I still struggle with the same questions and doubts as I had many years ago about finding suitable ways to do small-scale inclusive and dialogic practitioner research. 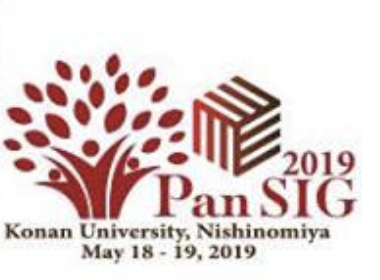 I hope very much that sharing and discussing our research experiences and practices at the Learner Development get-togethers in Tokyo in 2016 will throw further light on such puzzles … and other puzzles too. Burton, D. (1980). Dialogue and discourse: a sociolinguistic approach to modern drama dialogue and naturally occurring conversation. London: Routledge & Kegan Paul. Edge, J. (1992). Cooperative development. Harlow: Longman. Sinclair, J. & Coulthard, R.M. (1975). Toward an analysis of discourse. Oxford: Oxford University Press.